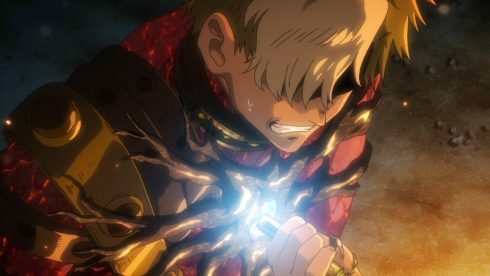 I’ll give Kotetsujo no Kabaneri props, its going in a direction that I didn’t quite expect it to, for its big finale. And really, that is more than myself or some of the show’s more skeptic fans could’ve hoped for. I mentioned last week that I felt like the show was writing itself into a corner, and that it would hardly be able to let its heroes succeed or make it through their last trial unscathed. The show itself, has established over the course of its past 10 episodes, that it’s a show that has an optimistic heart to its story. 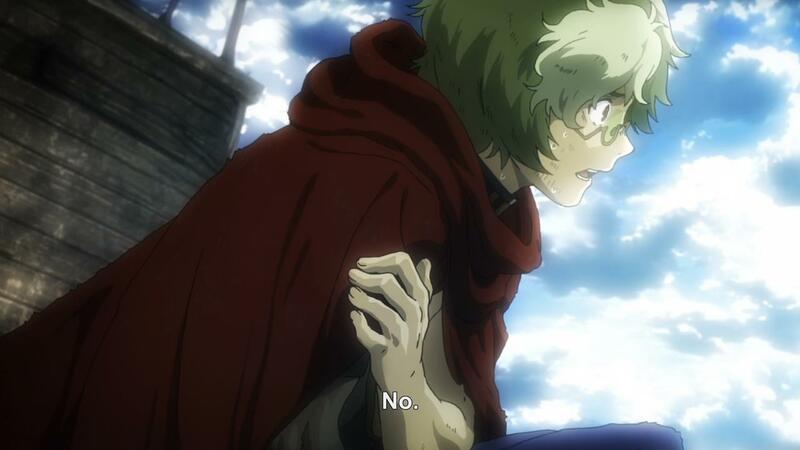 Yet, while the past 10 episodes may have had Ikoma and the rest beat all odds, sometimes at the expense of believability, it does seem like all bets are off for the upcoming finale. See, when I said last week that the show was putting itself into a position where it couldn’t really go for a happy resolution, I was assuming that a happy ending was indeed in the cards. 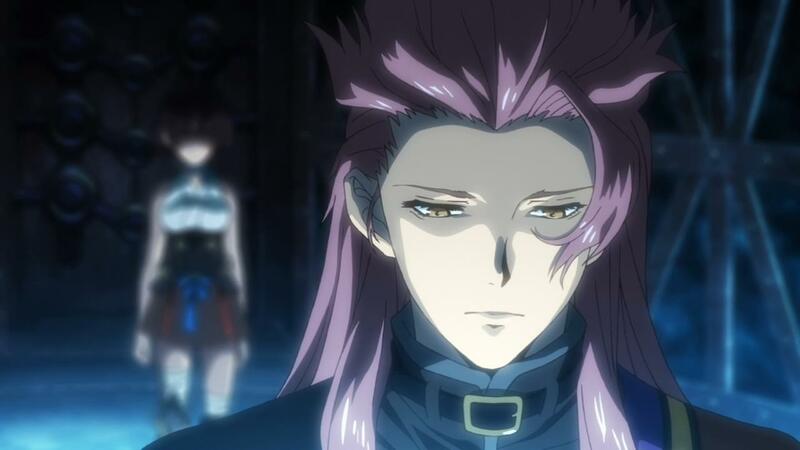 So it was jarringly surprising and maybe even a little exciting, when the show just doubled down on the despair this week, and setup a scenario that can only lead to pain, sorrow and a bitter sweet ending at best. Kotetsujo no Kabaneri’s big gamble (if it was indeed planned out that way) is that it worked to fool the audience into a sense of security for its characters. The fact that it almost broke itself to create the unwritten and unspoken rule of its characters always making it out of tough situations, is what makes this episode and all that it does so important. 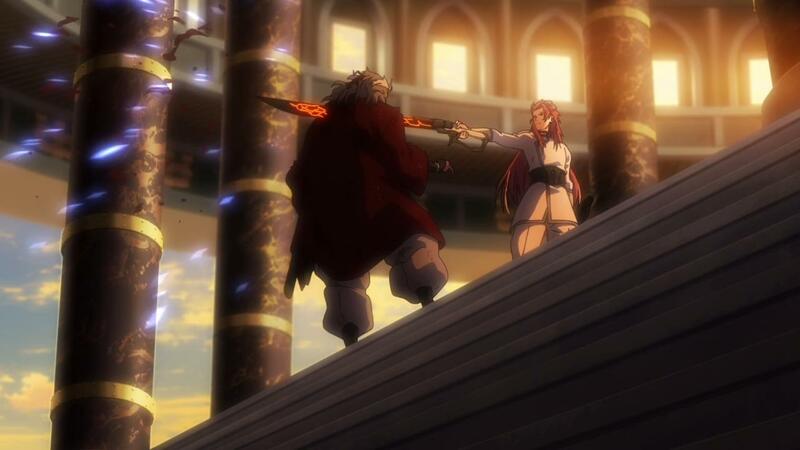 We are way past the point of no return after the end of this week’s episode. The Kongokaku, the cornerstone of humanity’s civilization and the Shogun’s castle, has been decimated. 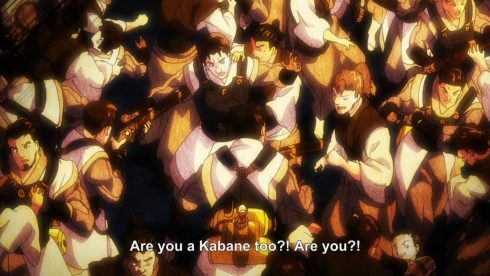 The Kabane are everywhere, Biba’s instilled panic and chaos, and on top of all of that, he’s turned Mumei into a Nue (Kabane Colony) with the intent to just lay waste to everything. 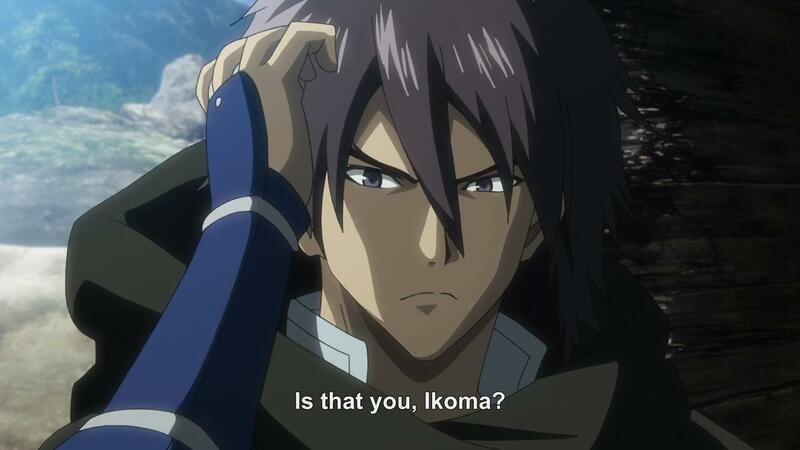 On the other side of the story, as expected, Ikoma and Kurusu are both alive and well. 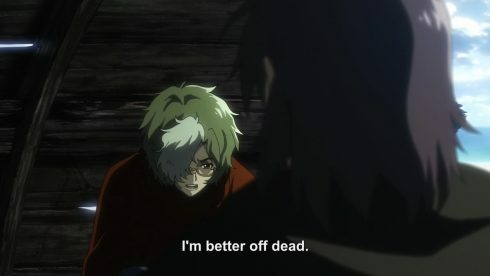 Ikoma went through the standard grief and self doubt arc this week, which thankfully was resolved by the end of the episode. 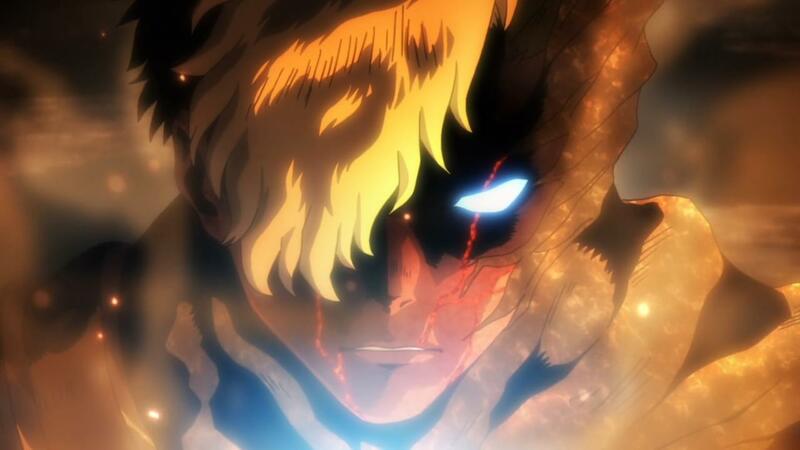 The whole hero being broken and lacking confidence is a trope that we often see in fiction nowadays. By the end of the second act of a story, the hero has been broken and battered, and he has to go through a painful process to get back up on his feet. 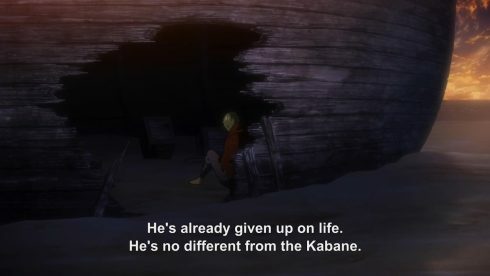 What I liked about Ikoma’s doom and gloom moments were that they were interspersed in between Biba’s acts of destruction and terror in the capital. It gave a sense of urgency and also a very true notion that events weren’t going to wait for Ikoma to get over his latest tragedies. 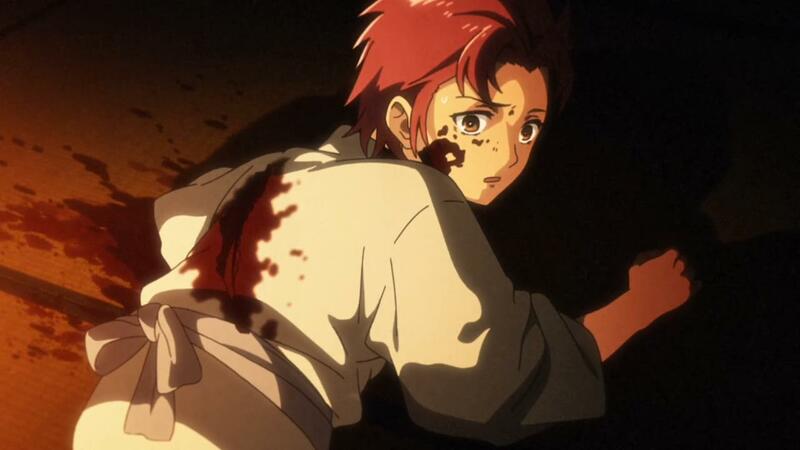 So while Ikoma was busy licking his wounds (physical or otherwise), the show went on to have the audience suffer through Mumei’s transformation and the utter destruction of the Shogun’s castle. 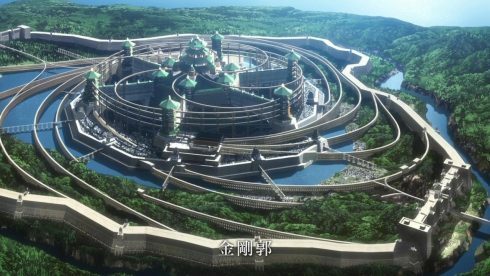 With that said, lets talk about Biba and his big plan, because if nothing else, he succeeded in his grand ambition this week. 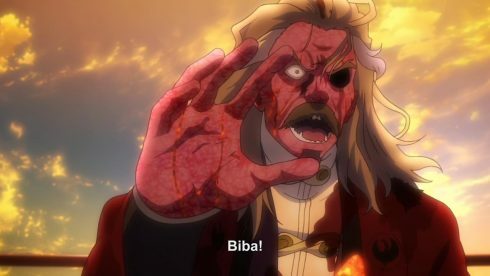 I have to say, ever since we learned who Biba was, I pretty much called it in terms of what he’d end up becoming to the story. 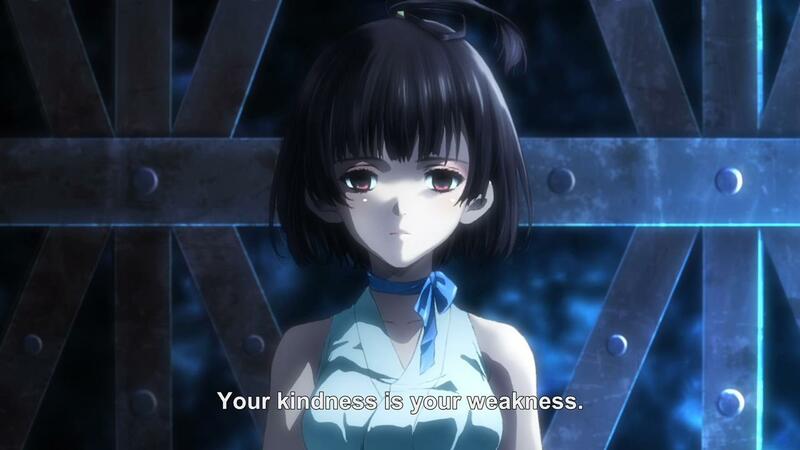 Biba is s a pretty stupid and frankly shallow character, and I hope that this week’s events, serve to really prove my point. See, I could see Biba wanting to kill his father, because beyond just abandoning him to die, the Shogun had abused his son physically from a young age. 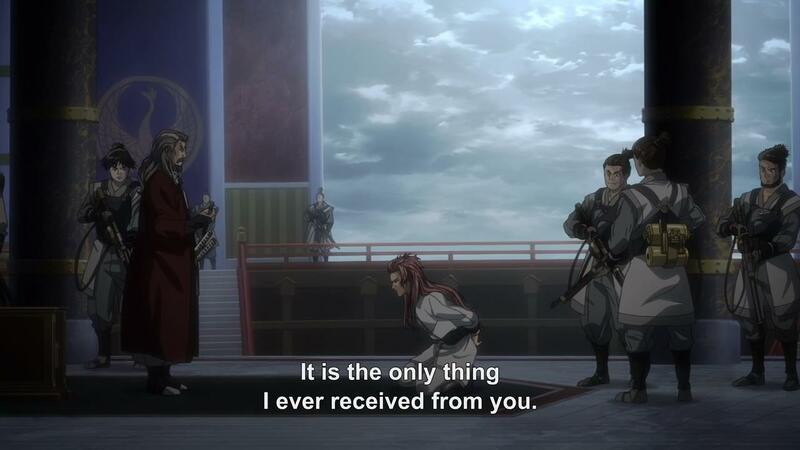 The Shogun actually feared his son, in a really messed up way. The fear? 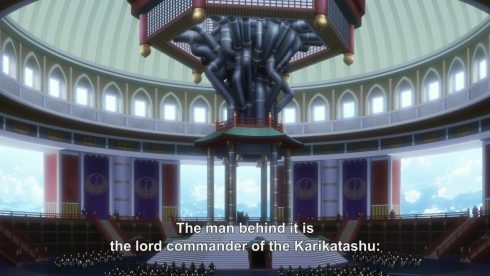 I’d hazard a guess that the Shogun feared Biba would replace him and his power, not that its entirely spelled out or explained by the show itself. The shogun isn’t a character that’s properly developed. Instead, he’s a plot device that’s used to justify what ever nonsensical actions Biba takes this week. As per usual when it comes to Biba, the idea itself behind his back story, doesn’t lack potential. The Shogun and what he represents is pretty twisted, especially when you do take a moment to look at all the grand architecture and luxury that just surrounds this king and his domain. Its hard to tell, at least from inside the Kongokaku, that this is a world that’s overrun by zombie like creatures. Much like in Shingeki no Kyoujin (Attack on Titan), the inhuman threat has actually done wonders for the “upper class” of society. There’s a very true sense of the fact that the Shogun has his power, his luxury and his grand castle because of the fear and need for protection that the common man has. 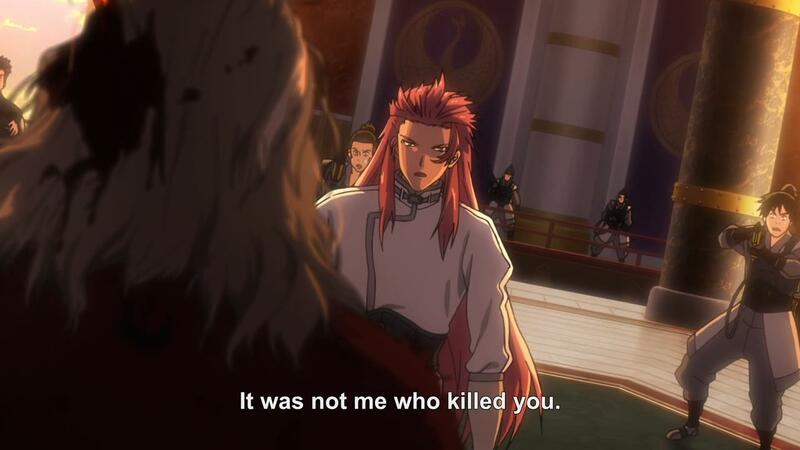 In a world where you could die at any moment by a horrible monster that may have very well been your friend or family at some point, the idea of a ruler that manages and protects you doesn’t feel all that bad of an option. Its an interesting question and an idea, but its one that the show hardly even spends a second on. 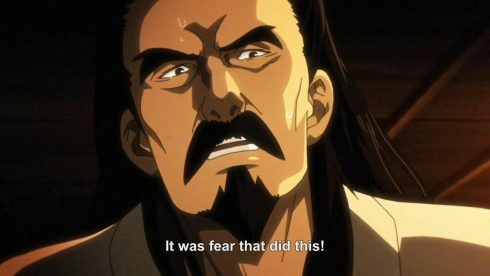 The whole idea of what the Shogun means, and how he basically uses fear to keep his subjects in line, is a pretty neat concept. Its also a concept that we don’t get much time to look at, because in the next few scenes, Biba’s killed his father and let loose death, panic and destruction. And that’s the part that actually really bothers me, just like it did last week. See, Biba definitely seemed to be a vengeful, tunnel visioned killer, but I really thought that it was all to kill his daddy. 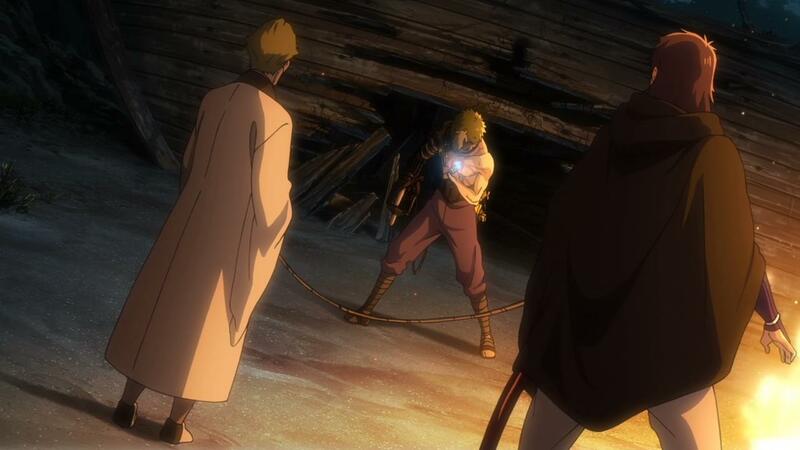 Near the end of the episode, Biba does kill his father and in a very poetic way at that. Biba uses the same fear that his father used as justification to beat him, to put an end to him. Its a powerful moment in some ways, and it feels like justice is kind of served. I don’t fault Biba for doing what he does, because the show, even in its clumsy manner, provides some context for his actions. What does have me confused, is why Biba proceeds to kill everyone and everything in his father’s castle. There simply isn’t a point to killing so many innocent people and laying waste to everything. 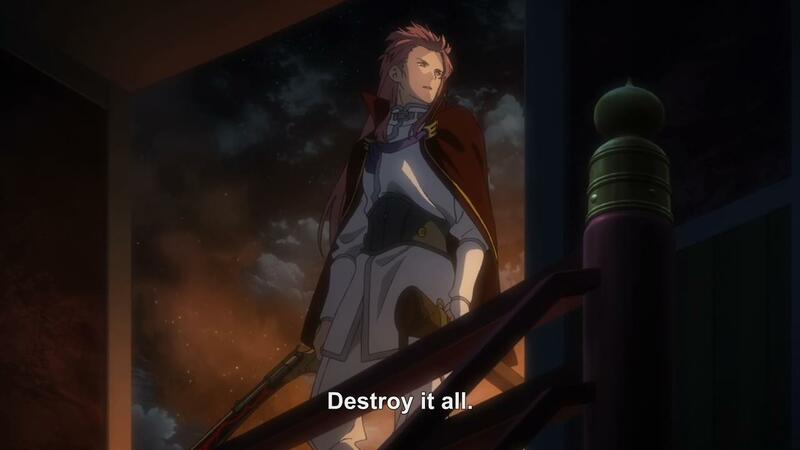 Yes, I’m aware of the argument that the whole area is his father’s castle, but laying waste to that seems like its going a bit too far (logically speaking). 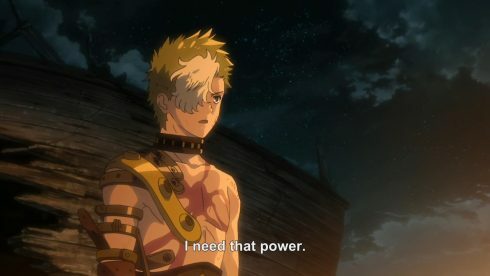 Mumei’s entire transformation and subsequent killing of everything feels like a step not only too far, but entirely unnecessary. 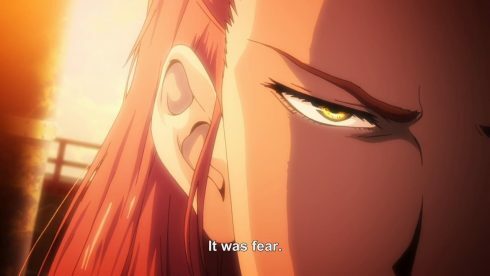 By killing his father, Biba’s uprooted and ultimately destroyed whatever society that existed and subsisted in the current world. He could have either taken it over, or just let it rot away. Either options seems better and less wasteful than what he’s doing here, and a bit more in character. To me, it seems like the only reason Biba makes the complete transition over to “psycho that wants to see the world burn”, is so Mumei can turn into a Colony and be poised to be taken down or “saved” by Ikoma. So yes, while the Biba side of the story doesn’t quite work for me, as always, there is a pretty powerful counter point to his lackluster activities. 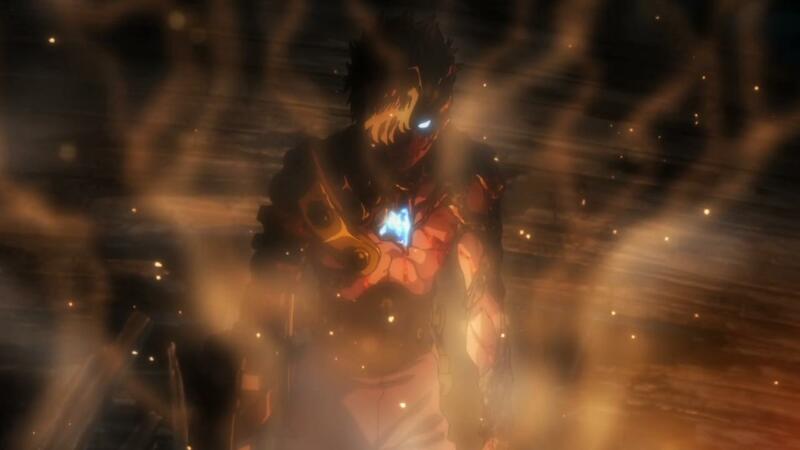 Ikoma, protagonist, goes down a dark and frankly pretty unexpected path as the episode wraps up. 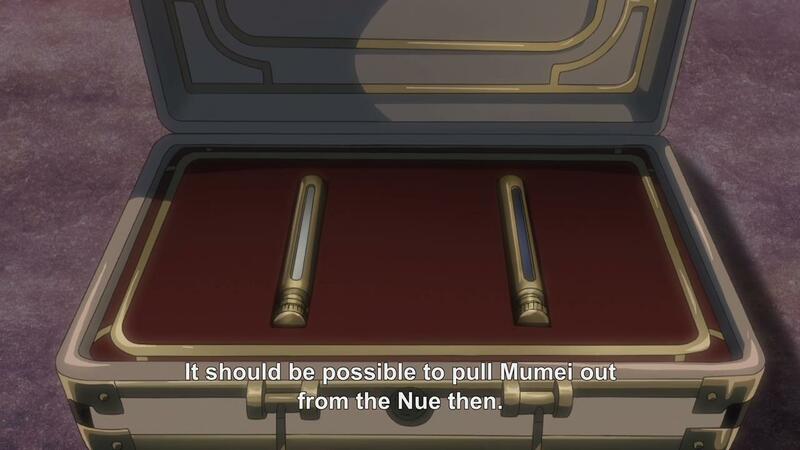 See, as FlareKnight quite expertly pointed out in the comments a few weeks back, Kurusu’s prisoner, the weird scientist dude, did have a way to restore and save Mumei with the “white blood/plasma”. You’d think that this would be the show’s big McGuffin to basically give itself a get out of jail free card. And lets not kid ourselves, that’s very much what it is, a way for the show to be able to “save” Mumei. 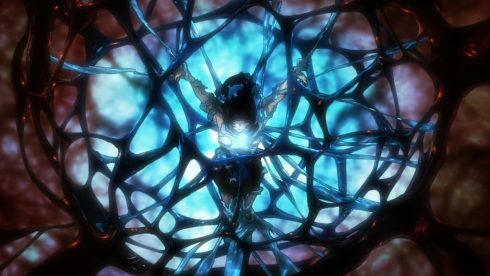 But then the show just balances that all out with Ikoma taking the blue blood himself, and transforming himself into a super Kabaneri. While I do think its pretty darn convenient that men don’t turn into Colonies (and that the scientist dude knows of this particular useful fact), the transformation itself isn’t without its downsides. Namely, that Ikoma has basically supercharged both his abilities, and the declining factor of his life. That’s a fair trade off in my mind. Ikoma has the power to save Mumei and stop Biba, but at the cost of his own life. 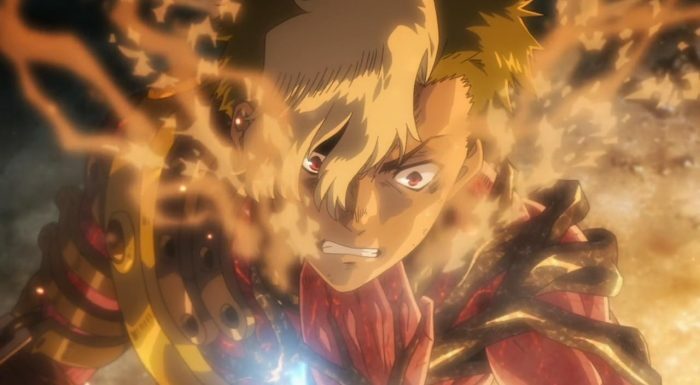 The moment works and is powerful because its a moment of self sacrifice and a moment of Ikoma steeling himself for the tough stuff he has to do. 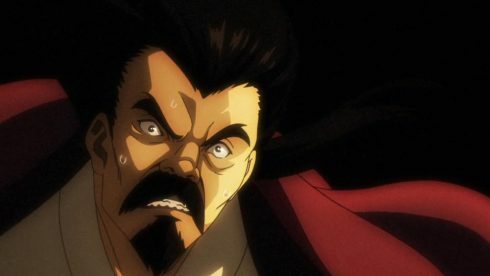 Its almost an awakening from his naivety from earlier in the series, where he promises Mumei that he’ll turn her human and bring back the rice fields. By basically taking a fatal performance enhancer, Ikoma has come to terms with the fact that he can’t have everything. 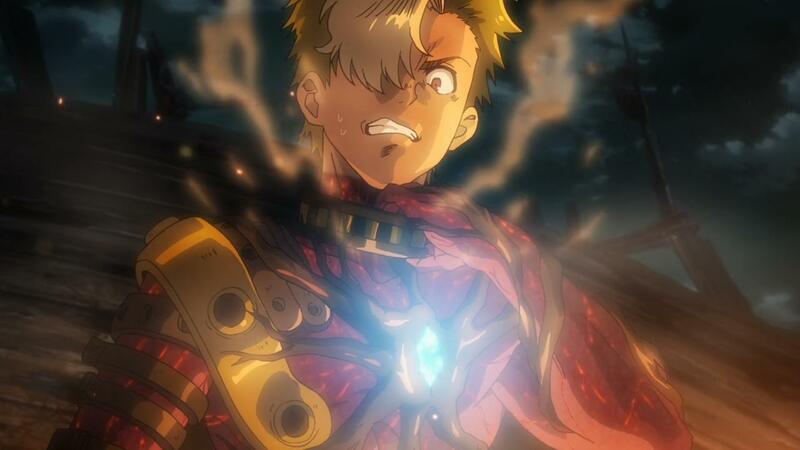 Ikoma can save Mumei, maybe, but that will be all he accomplishes. Yeah…. That’s a pretty dire statement to make right before the ending. And really, this episode was all about setting up an ending that could mean something. The stakes are definitely high enough now, and its clear that we’re not going to get the standard happy ending. Takumi’s dead, and ever since that point, the show has had a sobering sense of reality induced into it. Now, the show is poised for an ending that I can’t actually guess. There are a couple of scenarios, and none of them all too pleasant. 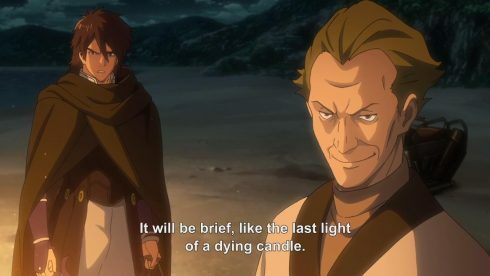 There’s the chance that Ikoma will save Mumei and everyone else at the cost of his own life, and that’s probably the ending that we’ll head towards. The other ending, is one where Ikoma and Mumei basically both take each other out, and the world kinda just is left in shambles, and that’s the extremely dark and almost franchise killing ending. Its unclear to me which one the show will go with, but neither of them seem particular safe or cookie cutter. 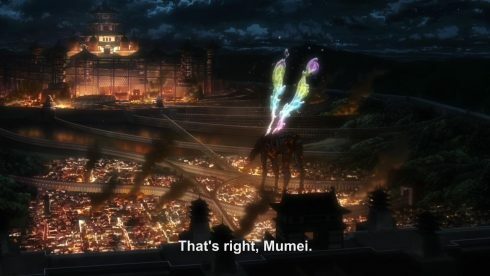 There is a third ending, one where both Ikoma and Mumei somehow miraculously survive, but I’m going to respect the show enough to believe that it isn’t going to go there. 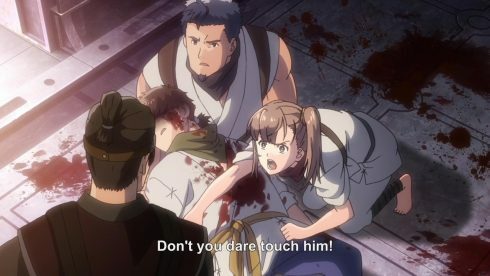 I think what Takumi’s death was supposed to point out, was that a happy ending wasn’t guaranteed here. Now, whether Takumi’s death is just a misdirection to make viewers believe that the show could end in a sad way, or whether its actually a sign of things to come, is the really important question here. 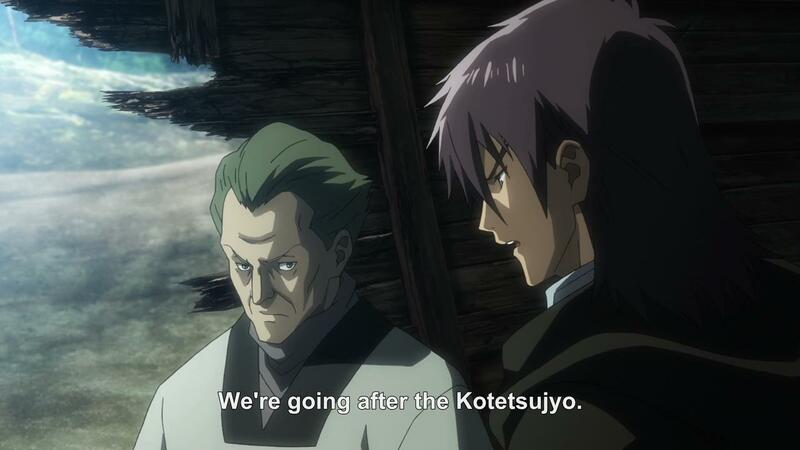 Kotetsujo no Kabaneri’s answer to that question is… Really going to determine the quality of the series as a whole. More so than other series of its type, Kotetsujo no Kabaneri’s ending is going to play a huge role in the success or failure of its overall appeal and value. 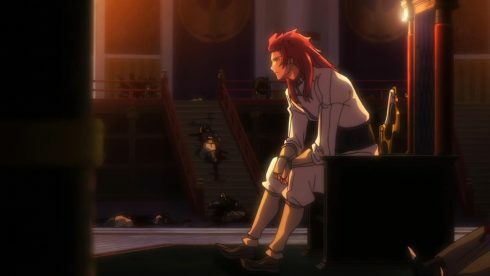 The setup is all there for a knockout final episode, and I’m hoping that the show is able to surprise us all, one last time. The wait until next week is going to be extremely painful, and that’s a really good thing for a show to have, right before its final episode.